Beatles drummer Ringo Starr may be 77 years old, but he's got no intention of retiring. His 19th solo album, "Give more love" is released this month and following that he goes on tour with his All Starrs band - Steve Lukathor, Todd Rundgren, Gregg Rolie, Richard Page, Warren Ham and Gregg Bissonette. For this album he's got a few friends involved with songs co-written with people including Richard Marx, Peter Frampton, Glenn Ballard, Dave stewart and Amy Keys. The guests don't just stop at the writing either - appearing on the album are guests including Dave Stewart, Peter Frampton, Amy Keyes, Joe Walsh, Steve Lukathor, Edgar Winter and Paul McCartney. This is an impressive album. There's a really wide range of styles included, ranging from straightforward rock (e.g. "We're on the road again") to the more Country style "So wrong for so long", to more of a rock and roll style ("Shake it up"). The CD and digital download versions include several tracks that aren't on the vinyl version. One of these is a reqorked version of "Back off boogaloo" based on his original recording of the song which was prompted by him finding the original tapes while organising things ready to move house. "Show me the way" is a sentimental ballad about his wife. It's well done, but for me it's the rockier songs such as the opening track, "We're on the road again" which are the better songs. The country influenced "So wrong for so long" is another great track that stands out. This is an excellent album that shows Ringo's wide ranging taste in music. 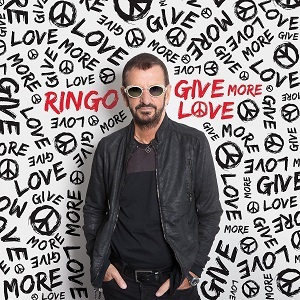 Ringo Starr is still going strong and I have no doubt that we can expect more albums from him in the future - and if they're as good as this one then I can't wait.